Guitar tools is a multi-platform application for Guitar and Bass Players of any style. It can also be used by other fretted instruments players, as you can customize the number of strings , from 4 to 7, the strings and neck appearances, and the tunings to use. It's a learning tool which helps you finding scales, chords, voicing, harmony and practicing. The neck can be customized to suit your own guitar : wood, inlays, inlays shapes, frets, strings shapes,... More, you can use several necks and quickly change from one to another. The favorites tunes "Player" can play almost any video or sound files. 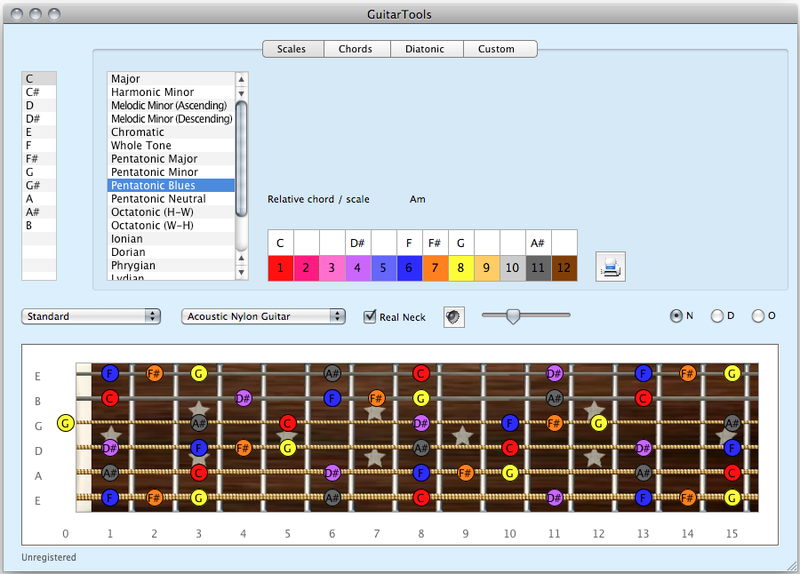 Guitar Tools is also available for Windows, and is localized in english and french at the moment.